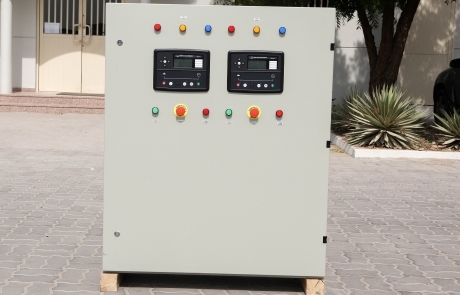 Synchronization Panels are effective solutions for a client seeking power at cyclic conditions or generally to get efficient higher rating power. 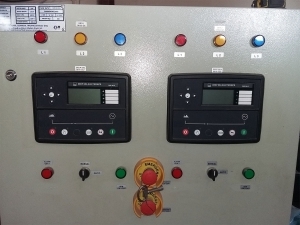 Synchronization lengthens generator life as they share the load instead of being burdened and reliability is increased in the case of faults. 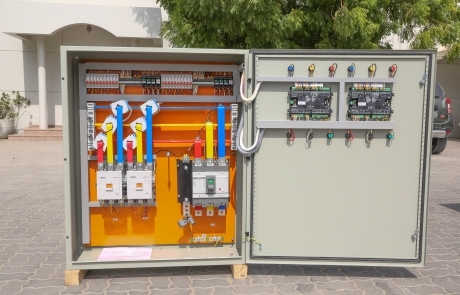 We have our own assembled panels right here in UAE with quality parts and design. The enclosure is powder coated, 2mm GI steel sheet, & IP55 tested and certified. 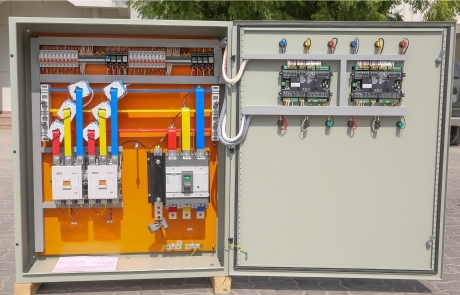 We use Deep Sea Electronics controllers 7510 or 8610 – Synchro Compatible and manufactured in the UK. They come with many features and benefits which you read more about here. 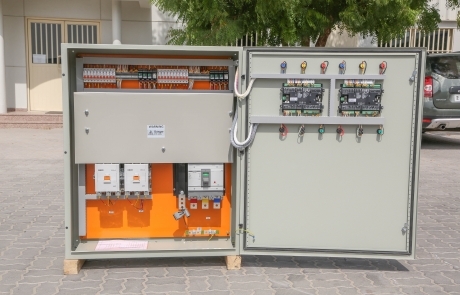 The switch-gear are well-known brands such as Schneider and LS Metasol.